Maison Talbooth01206 322367work01206 323689fax Country House HotelNot just another country house hotel, one of the AA Top 200 hotels in the UK. Situated overlooking Constable Country and the Dedham Vale. 12 Luxurious suites all individually designed and decorated. Dine at Le Talbooth on the banks of the River Stour, 2 AA rosettes for Cuisine. We're happy to say that over the last six months Maison Talbooth has gained even more of the WOW factor with the addition of 3 fabulous new bedrooms, the Garden Room restaurant, a swimming pool with outside hot tub, pool house and tennis court. During your stay with us, be sure to book in for a relaxing massage, facial, manicure, or range of other treatments; in our new Treatment Rooms at Maison Talbooth… treat yourself! 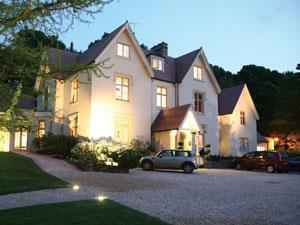 Not just another country house hotel, one of the AA Top 200 hotels in the UK. Situated overlooking Constable Country and the Dedham Vale. 12 Luxurious suites all individually designed and decorated. Dine at Le Talbooth on the banks of the River Stour, 2 AA rosettes for Cuisine. Children welcome, no last arrival times. Take A12 north direction Ipswich. Left sign to Dedham/Stratford St Mary, follow signs to Dedham, Hotel on the right.